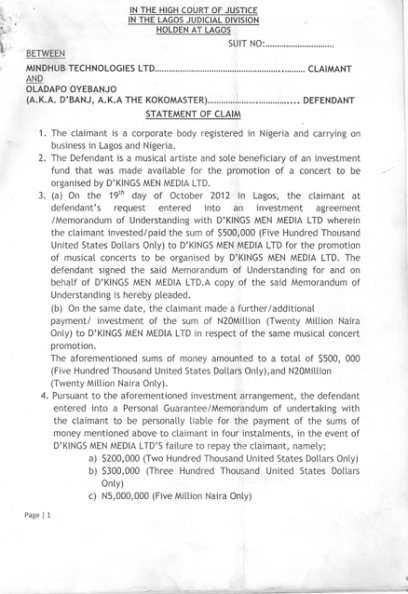 According to a document Dbanj signed a memorandum of understanding with a technology company on October 19, 2012, for the promotion of a concert organised by his media house, D'Kings Men Media LTD. 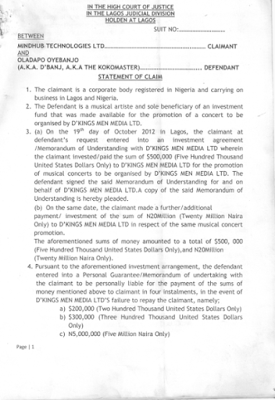 Apparently, the contract states that Dbanj would be personally liable for the payment of the sums of money in the event of D'Kings Media failure to pay. 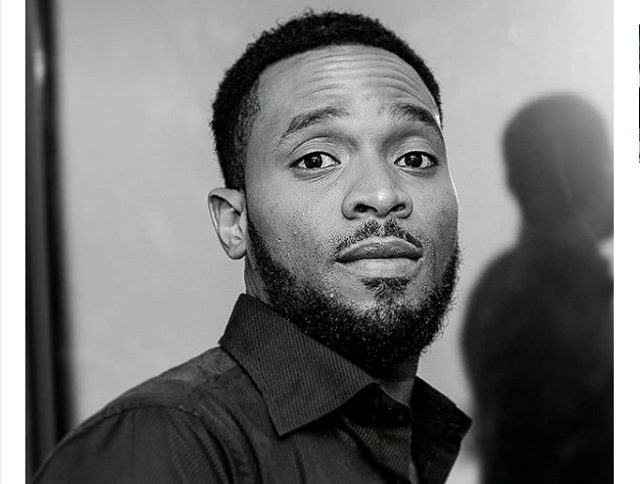 When Dkings Men media failed to pay back, Mindhub Technologies called for the repayment from Dbanj and he reportedly paid only $260,000 and N8,600,000, leaving the outstanding sum of $240,000 and N6,400,000. 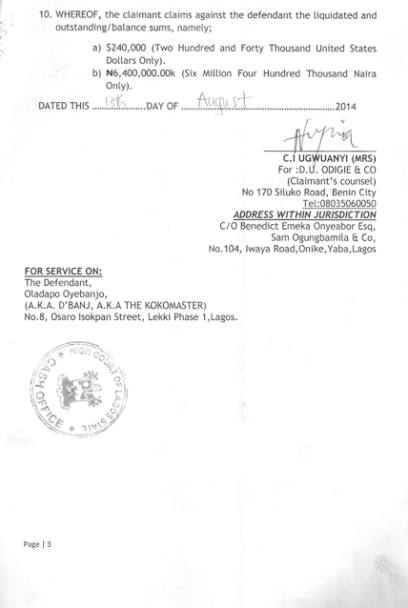 The company has now taken the issue up legally. They've made it known that all efforts made by them for him to pay proved abortive. 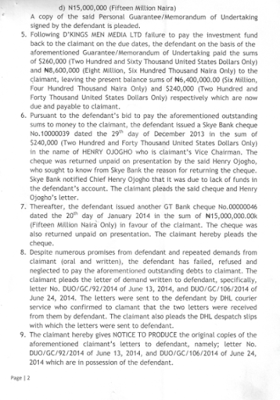 In his bid to pay the aforementioned outstanding sums, Dbanj issued a Skye Bank cheque No. 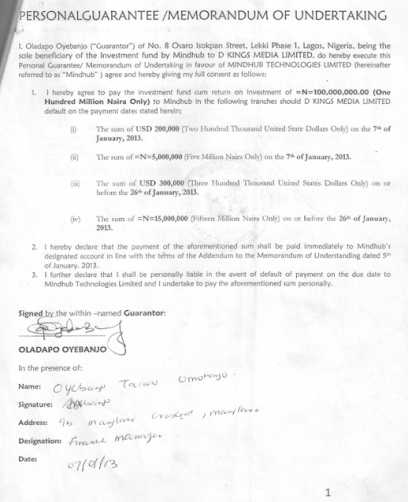 10000039 on December 29, 2013, in the sum of $240,000 in the name of Henry Ojogho, Mindhub’s Vice Chairman. . 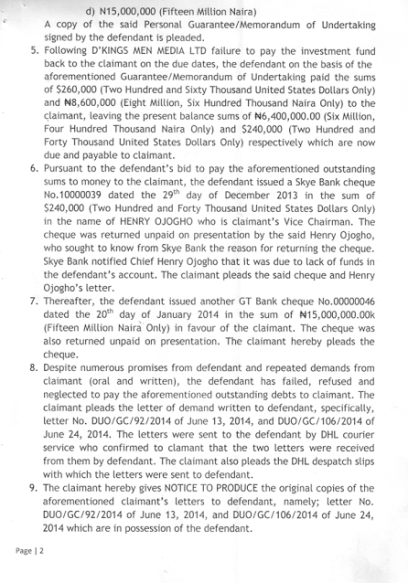 The cheque was returned unpaid due to lack of funds in the Dbanj’s account. D'banj issued another GT Bank cheque No.00000046 dated January 20, 2014, in the sum of N15, 000,000 in favour of Mindhub and it was also returned unpaid. 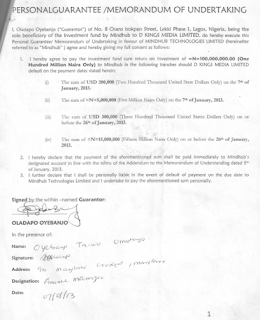 Consequently, MindHub filed a suit in 2015 against Dbanj to recover the sums of money. 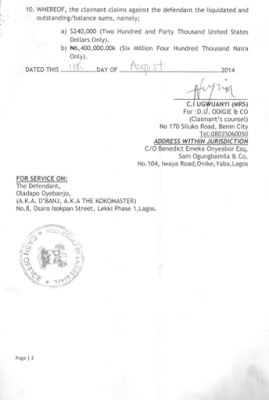 The case is currently before Justice Oyebanjo of the High Court of Lagos State, Ikeja Division and would be due for hearing on December 9, 2016.